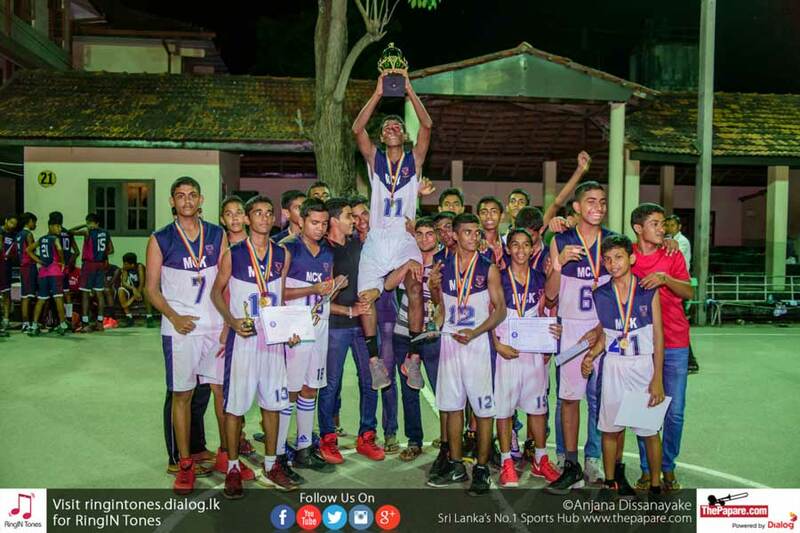 The U17 boys’ final of National School Games was played between S. Thomas’ College (STC) and St. Joseph`s College (SJC) at Royal College basketball complex. 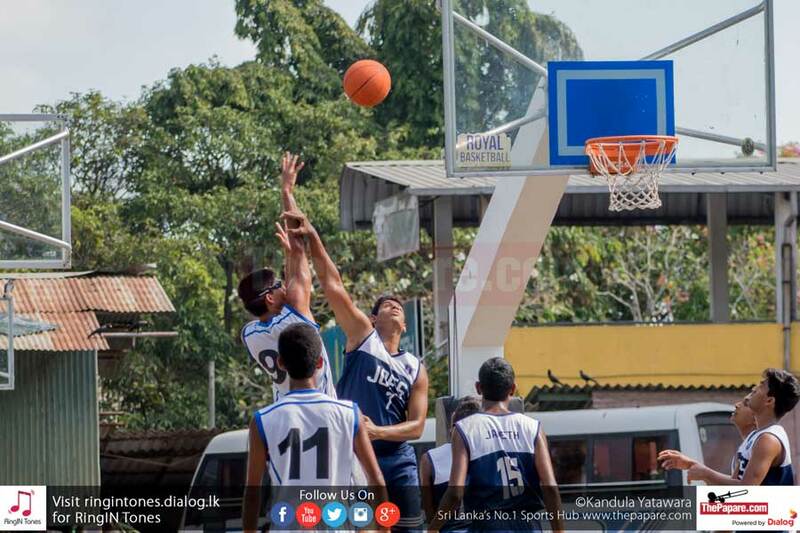 The Thomians claimed the win after a cracker of a game, 51-54. 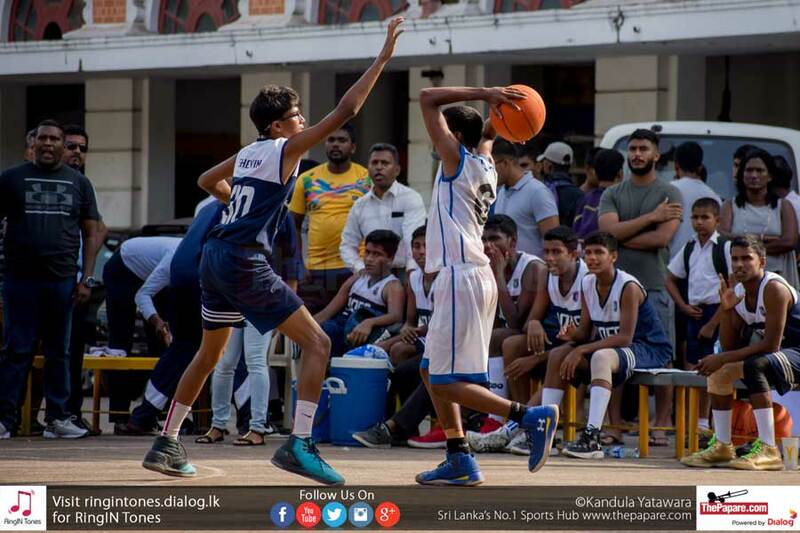 The Joes started the game strongly as the boys from Mount-Lavinia struggled with making the shots, shooting at a low percentage and falling into early foul trouble. Going into the latter part of the first quarter, STC found their rhythm, equalizing the game 12 all. 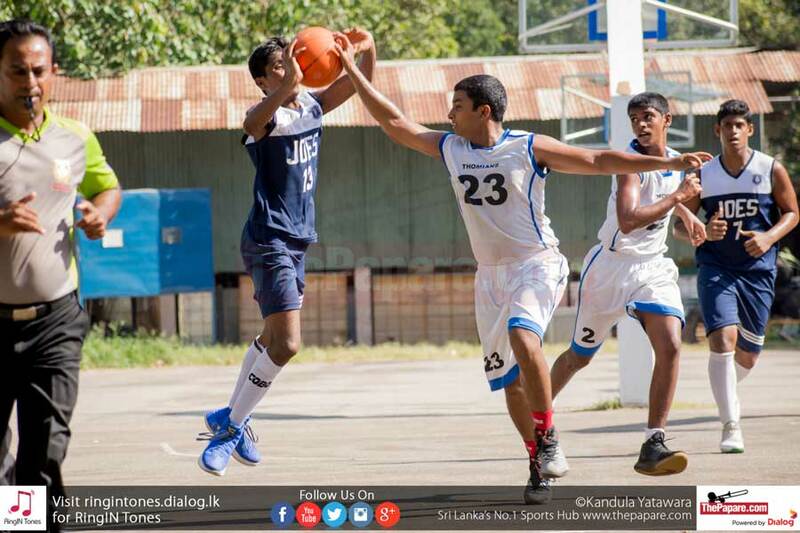 In an unfortunate turn of events, Shehan Fernando, who was in form, contributing to the strong start for SJC, suffered an ankle sprain when attempting to drive through the defense, and had to sit out the rest of the game. STC, continued the rhythm going into an early one-point lead in the 2nd quarter. 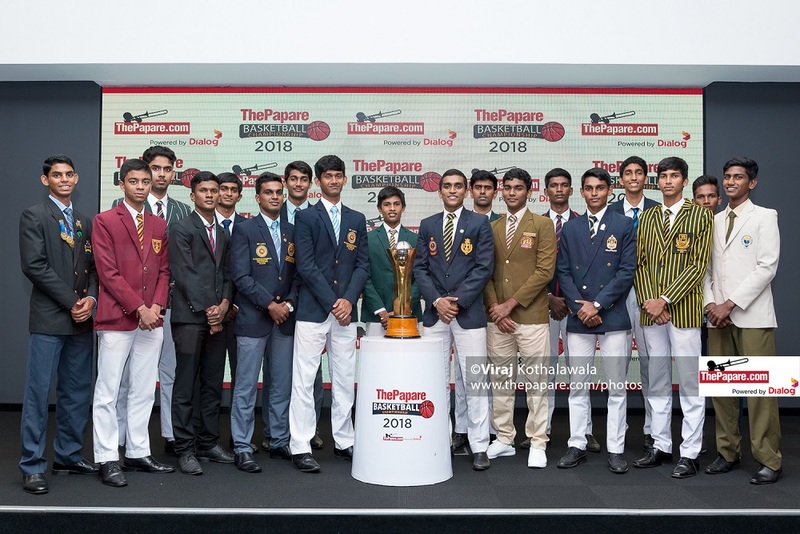 The defence began to become more efficient, recording 4 blocks during the quarter, thus ending the 1st half at 21-23, with the Thomians in the lead. The game was evenly poised, with both sides capitalizing on unforced errors and swapping the lead. Even though STC had the edge at halftime, Joes pulled back, outsmarting the opposition 18-14 in the 3rd quarter, with the scores reading 39-37. The final quarter was set to decide the game. With one and a half minutes remaining in the game, the score was squared at 49 all. S. Thomas’ Collegemade a shot off the perimeter with 15 seconds on the clock which decided the fate of the game. 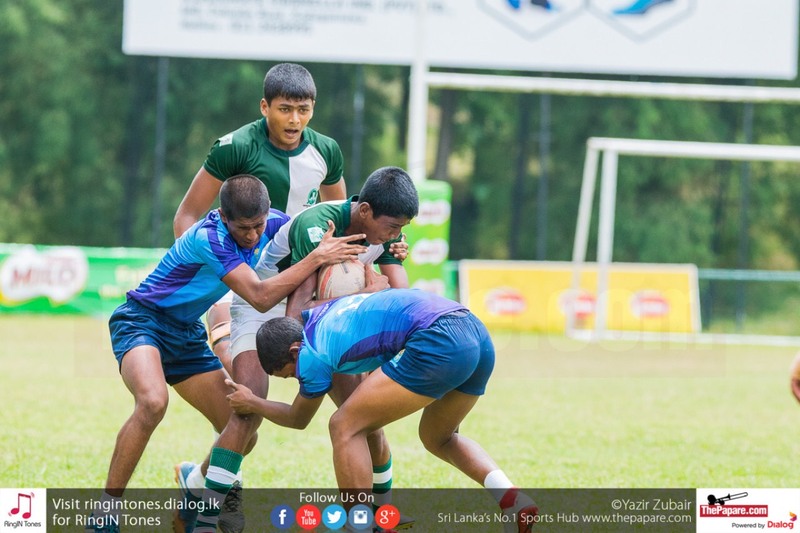 “It wasn’t one of the best games played by the Thomians but later in the game they put up a good fight”.